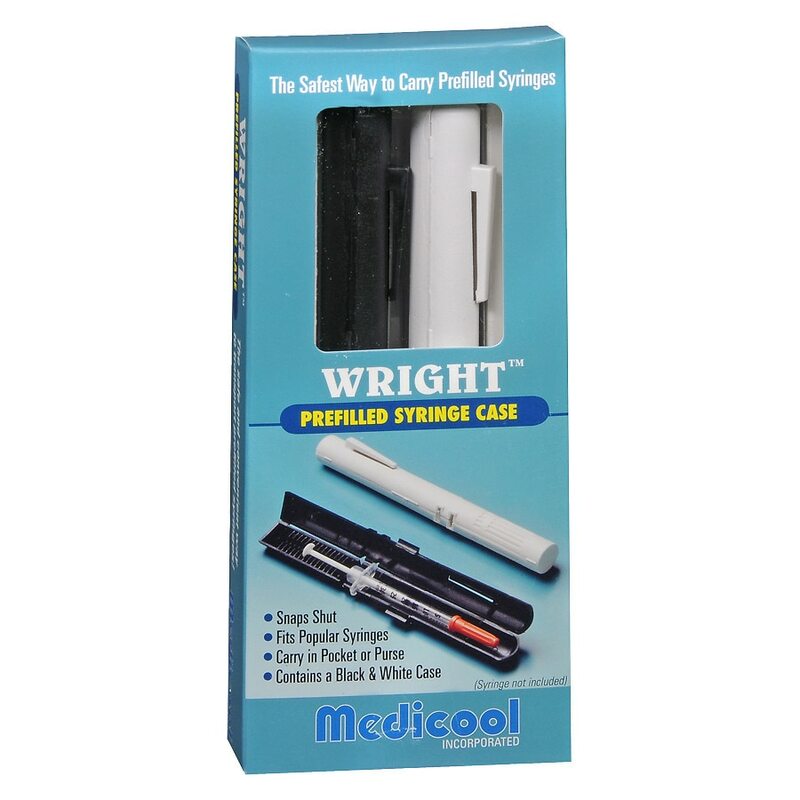 Medicool Prefilled Syringe Case Black1.0 ea. The safe and convenient way to transport prefilled syringes. Fits popular syringes. Carry in pocket or purse. Contains a black case and a white case. Syringe not included. IMPORTANT This case should only be used with the approval of your physician and the manufacturer of the syringe and medication you intend to use.